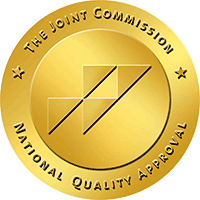 Our pulmonary rehabilitation program has earned Disease-Specific Care Certification from The Joint Commission. John joined Encompass Health, formerly HealthSouth in January of 2016 with almost 30 years of experience in the rehabilitation field in both clinical and administrative roles. John joined Encompass Health, formerly HealthSouth in January of 2016 with almost 30 years of experience in the rehabilitation field in both clinical and administrative roles. In addition to acute inpatient rehabilitation, he has worked in outpatient, acute medical and private practice. John has served as a rehabilitation clinical consultant regionally and nationally with a focus on patient care and superior clinical outcomes. He holds both a bachelor’s and a master’s degree in speech-language pathology from the University of Massachusetts at Amherst. Dr. Dahdul has served as medical director of Encompass Health Rehabilitation Hospital of Western Massachusetts, formerly HealthSouth Rehabilitation Hospital of Western Massachusetts since 1995. Dr. Dahdul has served as medical director of Encompass Health Rehabilitation Hospital of Western Massachusetts, formerly HealthSouth Rehabilitation Hospital of Western Massachusetts since 1995. He is an active member of the greater Springfield medical community and a member in good standing of the Massachusetts Medical Society. Dr. Dahdul completed a hospital leadership fellowship at UCLA San Francisco. He received the Encompass Health Medical Leadership award in 2011 and has developed several outstanding communication tools helping Encompass Health Western Massachusetts patients safely transition from the hospital back to their primary care physicians. Adnan Dahdul, M.D. is an independent private practice physician whose office is located at the hospital. As the director of human resources, Danuta oversees all aspects of human resources management. As the director of human resources, Danuta oversees all aspects of human resources management. Danuta holds a degree in business administration and brings over 20 years of HR and management experience to the Encompass Health, formerly HealthSouth team. Prior to joining Encompass Health, she has held various HR leadership positions, with many in a regional capacity covering multiple states. Her diverse HR background and concentration in healthcare administration gives her a wealth of experience in talent management, benefits administration and regulatory compliance. Her focus in these areas will further enhance Encompass Health’s known reputation in clinical outcomes, patient experience and employee satisfaction. Deb has practiced in the field of occupational therapy for more than 12 years. Deb has practiced in the field of occupational therapy for over 12 years. After obtaining a bachelor’s degree in health science and a master’s degree in occupational therapy from Russell Sage College, she joined the Encompass Health, formerly HealthSouth team in 2004. She has held multiple positions at the hospital and was promoted to the director of therapy operations in 2016. Her knowledge and experience in acute rehabilitation has fostered exceptional patient care and excellent clinical outcomes. A.J. provides administrative oversight for all guest service-related departments in the hospital. A.J. provides administrative oversight for all guest service-related departments in the hospital. He co-chairs the hospital’s safety committee, which is responsible for patient safety improvements and ensuring hospital compliance with The Joint Commission Accreditation Standards. A.J. also monitors compliance with local, state and federal regulations of the hospitals’ environment of care. He has been with Encompass Health, formerly HealthSouth since 1996 and also serves as the hospital’s emergency manager and IT administrator. Prior to assuming his position at Encompass Health, formerly HealthSouth, John served as an audit manager for Alexander, Aronson, Finning & Co., P.C. in Westborough, Massachusetts. Prior to assuming his position at Encompass Health, formerly HealthSouth, John served as an audit manager for Alexander, Aronson, Finning & Co., P.C. in Westborough, Massachusetts. He also previously worked in several financial services positions for UMass Memorial Healthcare, Worcester, Massachusetts. A certified public accountant, John earned his certificate in accounting at Assumption College. He is a graduate of the College of the Holy Cross. Deb has 30 years of experience in outpatient physical therapy and has spent the last 25 years at Encompass Health, formerly HealthSouth Rehabilitation Hospital of Western Massachusetts’ Outpatient Clinics. Deb has 30 years of experience in outpatient physical therapy and has spent the last 25 years at Encompass Health, formerly HealthSouth Rehabilitation Hospital of Western Massachusetts’ Outpatient Clinics. She also has 20 years of management experience and brings to her position extensive experience in orthopedics with a focus on shoulder rehabilitation, manual therapy and sports medicine. Deb leads a seasoned group of therapists offering physical therapy, occupational therapy and speech and language therapy for patients. Deb has worked in the rehabilitation field since 1994, serving in many roles which include staff nurse, clinical supervisor, PPS coordinator and FIM/documentation educator. Deb has worked in the rehabilitation field since 1994, serving in many roles which include staff nurse, clinical supervisor, PPS coordinator and FIM/documentation educator. She is a CPR instructor and holds a bachelor’s degree in nursing. Having been a Certified Rehabilitation Registered Nurse (CRRN®) since 2008, Deb acts as a CRRN® review course instructor for Encompass Health,formerly HealthSouth Rehabilitation Hospital of Western Massachusetts and other Encompass Health hospitals. Mary-Anne serves as the business development director at Encompass Health, formerly HealthSouth Western Massachusetts. Mary-Anne serves as the business development director at Encompass Health, formerly HealthSouth Western Massachusetts. She began her career with an accounting certification from St. John’s School of Business and found herself drawn to a more health and wellness based path as a holistic health practitioner holding master/teacher certifications from the International Center for Reiki Training. In addition, she is a certified Cranial Sacral Therapist in Profound Neutral from the Neurovascular Institute. An active member of the community, Mary-Anne is a proud Rotarian as well as a member of numerous associations including BNI Referral Partners in West Springfield, West of the River Chamber, Alzheimer’s Association Walk Committee, Tri County Partnership for the Alzheimer’s Association, Western Mass Eldercare Professionals Association, Retirement Marketing Directors Association, Western Mass Elder Care Conference Steering Committee as well as the East of the River Chamber of Commerce, Board of Directors. Kathleen has been a social worker and case manager in a hospital setting for more than thirty years. Kathleen has been a social worker and case manager in a hospital setting for more than thirty years. She received her bachelor's degree in social work from Western New England College in 1985 and began her career at Encompass Health, formerly HealthSouth Western Massachusetts in March 1996 in the capacity of discharge planner. Kathleen was promoted to case manager in 1997; and, in 2018, she assumed the role of director of case management. Her “patient-first” approach and team focus have resulted in a high level of patient and family satisfaction.